Oh la la, isn’t this pendant light just exquisite?! A beautiful sculptural piece, the Metallic Feather Pendant Light is testament to the fact that great lighting can be art too. 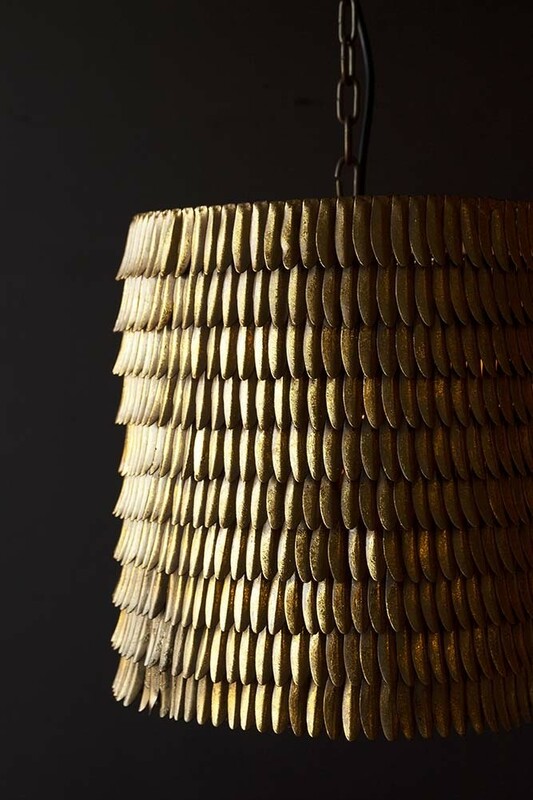 Handmade, this beautiful Pendant Light has been carefully designed with many rows of brass etched feathers or leaves, depending on how you look at it! The brass feathers feature gold leaf detailing and have a slight distressed effect to the plating. Please note that this gorgeous light feature is a handmade so it will have the expected variations and imperfections of a handmade piece. 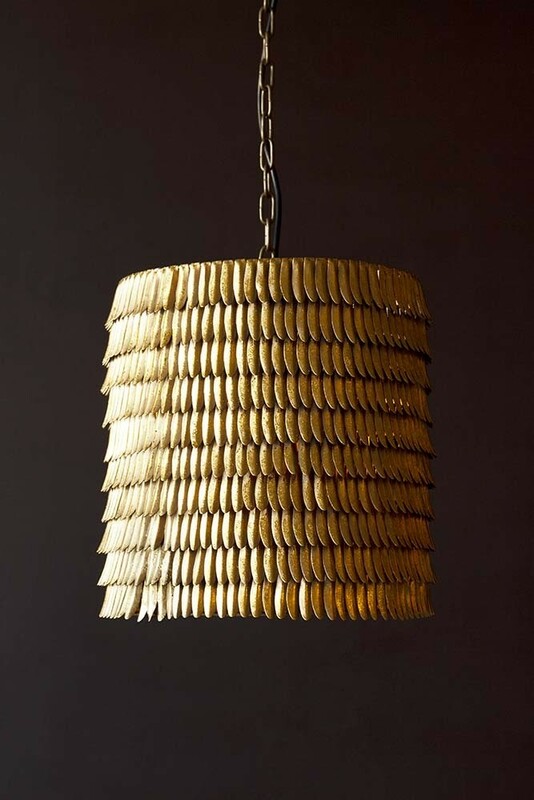 The Metallic Feather Effect Pendant Light is made from brass plated metal and measures 36cm in height x 32cm in width. Creative lighting will transform your home. It can work wonders for lifting your mood and enhancing your interiors too. So, its worth taking the time to source statement lighting that makes your heart sing! This beautiful bronze Metallic Feather Effect Pendant Light was designed by co-founders, Jane and Lucy, to do exactly that! 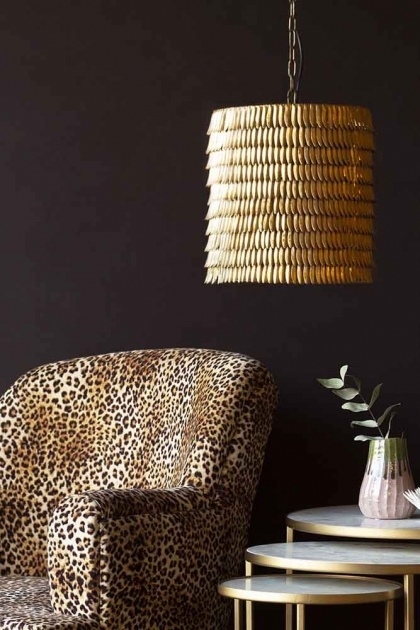 Stunning beyond your wildest interior dreams the Metallic Feather Effect Pendant Light will look great just about anywhere in your home. However, we think that great lighting like this ceiling light should be shown off! So, hang it in a central light fitting in your hallways, living rooms, dining rooms and bedrooms for a wonderous effect. Just be sure to install a dimmer switch to create a warm feeling in the home.